There's money to be made building websites; but, whether you do it on the side or full-time, it can get dull and painfully tedious. However, there are resources out there to break up the monotony and make the experience much more enjoyable, like the Premium Bootstrap Theme Bundle. 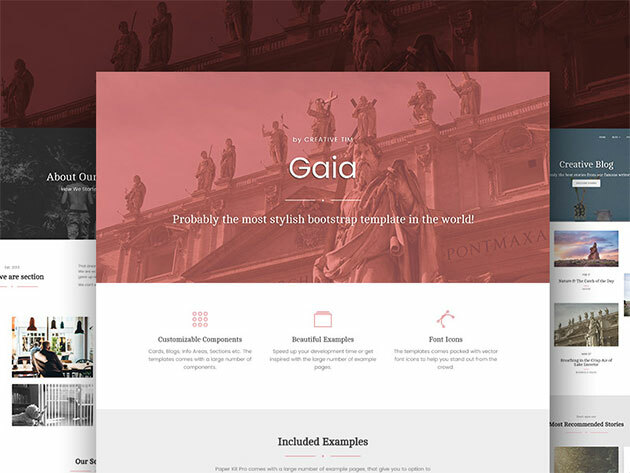 Loaded with 26 Bootstrap templates and UI kits, 311 customized plug-ins, and much more, this massive bundle delivers an absolute treasure trove of assets to help you make sites that are more inspired and interactive. You can integrate thousands of custom design assets seamlessly into your workflow; and, with hundreds of example pages to reference, you'll have no issue discovering new sources of inspiration and creativity. The Premium Bootstrap Theme Bundle is on sale in the Boing Boing Store for $49.99 today.